The Christmas Gospel. Good News! Imagine doing your job, tending livestock. Ranchers do it for endless days and nights. It’s quiet. A few coyotes. A wind song. Mostly quiet. Then out of nowhere! A bright light! A voice you and the cowboys around you can all understand. A winter’s day from Square Butte southeast of Medora. We climbed the butte to watch the sunset. Below us thousands and thousands of acres. Crow, Assiniboine, Hidatsa, Mandan, and Sioux made a trail through these hills centuries ago. Hundreds of tribal people marched through here, coming and going to their hunting grounds. Later, settlers and cattle drovers moved through here. Each cattle drive (and there were many every year after the Civil War) had as many as 5 dozen cowboys riding these hills. Ranchers settle here and so the landscape is divided up among many families. In all, it’s easy to see that hundreds of people have walked these hills. When we stood there, we felt our awareness open to all who are there now and all who have been there in the past. Wow. What would we say to them, if we could? A couple of millennia ago, angels met a group of men just as isolated as any cowboy on a cattle drive. Men caring for their animals. They probably knew the personality of many of their sheep — the leader, the rebel, the good mother. Shepherds were caring for their flock. The last thing they were thinking about was an eternity. What a shock when the angels spoke! You know what they said. 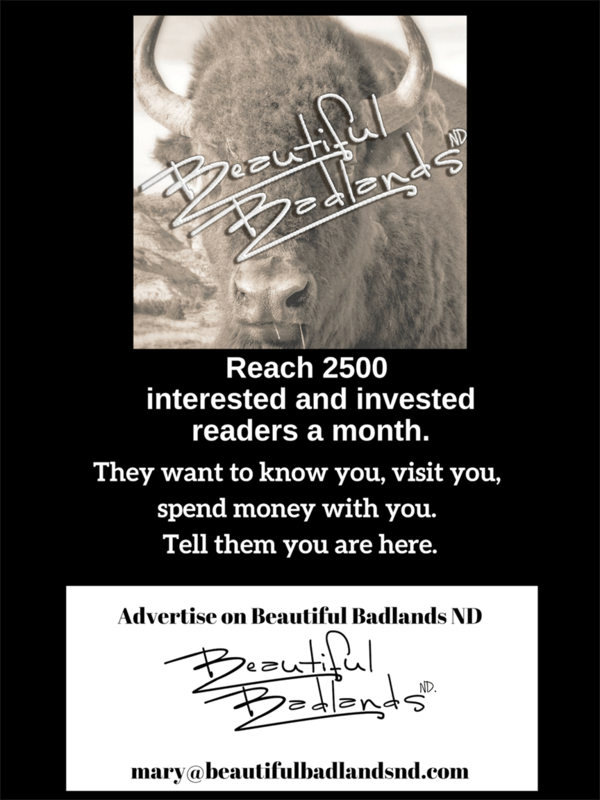 Inspiration from the Badlands, a weekly post on Beautiful Badlands ND. A free resource for you. Just tell us where to send it.